brandflakesforbreakfast: be a more confident person! 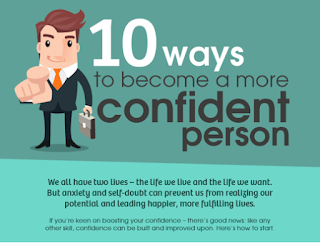 be a more confident person! Let's face it - a big part of being in marketing and advertising is how confident you come across in your recommendations and among your teams. In short, you'll get eaten alive if you show doubt - nom, nom. So to help those who are confident challenged, Vegas Extreme Skydiving has developed a lengthy infographic that will have you impressing your peers!